With the recent release and benchmark issue of Invincible #100 we thought it would be the perfect time for you all to find out how great Robert Kirkman's superhero comic is. The 100 issue was so good that the ambassador added it to his subscription. It starts out with a working, comic book-reading, high school kid whose father is the ultimate protector of earth, Omni-man. The art is a little plain and simplistic at first but gets better and more intricate as it goes on as does the story. 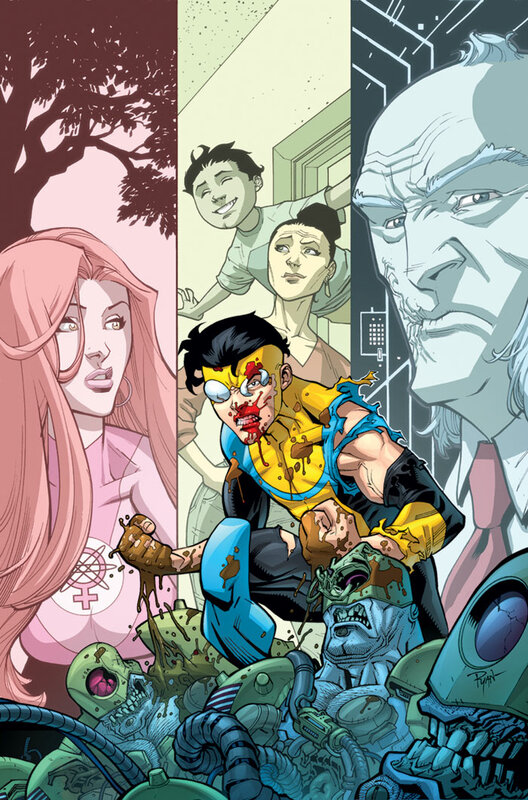 The kid begins to get powers like his father, joins up with a group of young heroes, and takes on the superhero name of Invincible. You see him struggle with his abilities, learn what it is to be a hero, all the while trying to get through high school and into college. Kirkman really brings it home as to what it may be like to be a teenager with powers by making it as realistic as possible no matter how ridiculous it gets. Things get serious as somebody tries to blow up his school, the world gets bigger when he has a tussle with an alien visitor. By the end of the book your mind is blown as is the main characters' with the devastating reveal and brutal result. All I could think is "I must know, see, and read more." This title is Kirkman doing what he does best but with the superhero genre. He's not afraid of calling it out, telling it like it really is, making fun of it and himself, while redefining it at the same time. It's a fresh, new take on an age old story. The art takes a little while getting use to but you warm up to it quickly. It's a very indie, unique, bright, colorful style that just gets better and better as the book goes on. What this book does best is inspire you to read more as you know that it will only get better. This is a great series. If anyone thinks Kirkman can only write zombies is dead wrong. He can also do heroes books as well. 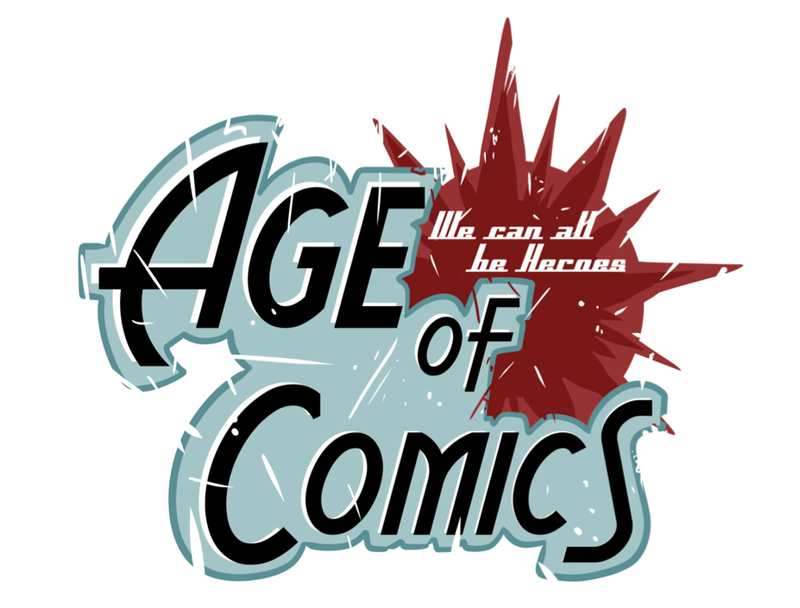 In the intro of the first Volume Brian Michael Bendis says that he wished he would have written it. I already read Invincible #100 before reading this trade and I already knew what Bendis is talking about. I love how the book just seems to be another hero book, but then turns drastically different.This series is good in issues as well. Kirkman really likes doing the suspense. The art just keeps getting better and better after every issue. I also like how Kirkman will bring in a minor character and he will leave the story and come back later. Kirkman is a master of building story on story. This book is about senior i high school getting ready to go to college. He is also developing his powers. He is also developing relationships and friendships. His father is the super hero Omni-Man. He has to learn he to use his powers and deal with the usual complications of fights. He also crime fights night. The story kept me interested and wanting more after this trade.